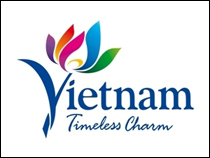 Vietnam always respects and wants to further strengthen all-sided cooperation with the Republic of Korea, said Mr. Hoang Quang Phong, Vice President of the Vietnam Chamber of Commerce and Industry (VCCI)). 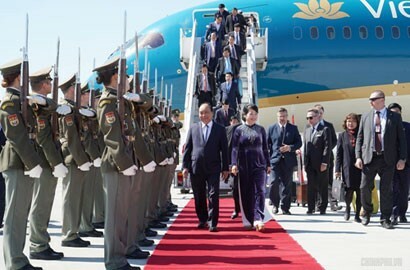 In the 27 years since diplomatic relations were established in 1992, Vietnam and Korea have uplifted their cooperation in politics, defense, security, economy, culture, tourism and people exchange, he said. He added that, on economic cooperation, Korea is currently the largest foreign investor in Vietnam with a total registered direct investment of US$62.5 billion and over 7,459 projects by the end of 2018. 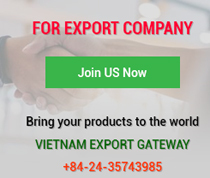 The country is also Vietnam's second largest trading partner and Vietnam is South Korea’s fourth largest trading partner. Bilateral trade value reached more than US$65.7 billion in 2018. The Vietnam - Korea Free Trade Agreement, signed in December 2015, opened up multifaceted cooperation for the two countries. On financial and banking cooperation, the bilateral relationship is getting closer and closer, Mr. Phong said. Presently, dozens of Korean banks are operational in Vietnam, including Shinhan Bank - one of the leading foreign banks in Vietnam. South Korean banks are very experienced in consumer finance, SME support and start-up funding, thus helping positively develop the Vietnamese economy and effectively supporting South Korean businesses operating in Vietnam. In addition, the bilateral cooperation has also progressed in culture, sports, tourism and people exchange, among other fields. At present, more than 190,000 Vietnamese people are living, studying and working in Korea while more than 160,000 Koreans are in Vietnam. These people are positively contributing to the socioeconomic development of each country and the cooperative relations between the two sides. Remarkably, Vietnam and Korea have close coordination and cooperation in regional and global issues. The two countries have cooperated closely in international organizations and multilateral fora such as the United Nations (UN), the World Trade Organization (WTO), the Asia-Pacific Economic Cooperation (APEC) and the Asia - Europe Meeting (ASEM), and regional cooperation mechanisms such as Mekong - Korea, ASEAN - Korea, ASEAN+3, the ASEAN Regional Forum (ARF) and the East Asia Summit (EAS). The two sides not only cooperate in regional and global issues such as sustainable development, climate change mitigation and non-proliferation of weapons of mass destruction, but also share stance on principle issues such as settling territorial and water disputes by peaceful measures and international law, respecting and protecting freedom of navigation and aviation in the Asia-Pacific region. 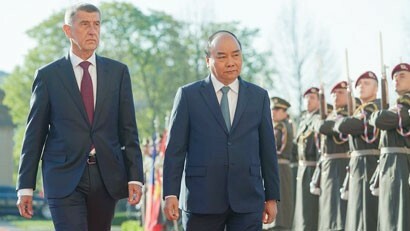 VCCI Vice President Phong believed that, with the Vietnam - South Korea solid relationship built on many cultural and historical similarities, complementary economic structure and particularly with affection and friendship of the two peoples and the resolve of the two governments to work towards the common future, the bilateral relations will reach new highs. 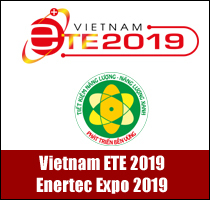 “We expect Korean businesses, with their advanced technologies, will continue to cooperate and support Vietnamese businesses to transfer technology, improve product quality and apply advanced technology, Industry 4.0 applications, and new technologies in new industries to enhance added values and form new industries for the country’s economic development,” Mr. Phong said. New policies and initiatives in the banking and finance industry - one of the sectors affected most by the Fourth Industrial Revolution featured by the introduction of new technological solutions - require banks to change a lot to keep up with technological development and meet customers' needs. According to Mr. Phong, Vietnam highly appreciates Korea’s official development assistance (ODA) and hopes the country will further expand its ODA supply in the coming time to match specific conditions and needs of Vietnam in priority areas, such as transport infrastructure and transportation technology, urban development, agriculture and rural development, high quality human resource training, scientific and technological development and application in the era of Industrial Revolution 4.0. “Besides direct investment, Korean financial and banking groups are also very interested in indirect investment in Vietnam like acquiring shares to become strategic partners of Vietnamese companies or buying shares via the stock market,” he added. Mr. Yoo Gwang Yeol, First Senior Deputy Governor of Korea’s Financial Supervisory Service (FSS), said, FSS will continue its efforts to promote Vietnam - South Korea substantive, deep strategic partnership. “Whenever Vietnam asks us, we will actively expand training programs to nurture, share, transfer experience and knowledge,” he affirmed. FSS will also strengthen cooperation with the Ministry of Finance of Vietnam (MoF) and the State Securities Commission of Vietnam (SSC) to further provide technical assistance on the organization and development of Vietnam's stock market, support not only knowledge training but also financial infrastructure reforms such as securities transaction, credit information, asset management system and financial risk management. 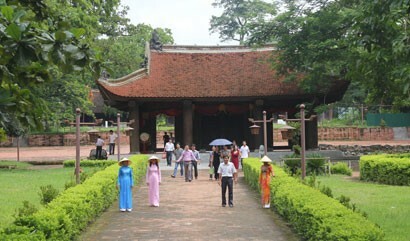 South Korea is one of Vietnam's major bilateral donors. Loans of the Korean Government are provided through the Korea Economic Development Cooperation Fund. So far, the Government of South Korea signed 55 loan agreements worth US$2 billion for Vietnam. In addition, the Vietnam - Korea Tax Agreement, signed on May 20, 1994, has contributed to promoting bilateral commercial and economic ties for 25 years. According to the Korean Ministry of Strategy and Finance (MOSF), a negotiation protocol is underway to amend and supplement some articles of the Tax Agreement to match new developments. Regarding capital markets, currently, more than 6,600 Korean investors and six Korea-led securities companies are joining in the Vietnamese stock market, making Korea a leading investor on the Vietnamese equity market. The insurance industry also attracts Korean insurers like Hanwha Life, Mirae, Samsung Vina and Seoul Guarantee. The effective performance of Korean insurers has effectively helped develop the Vietnamese insurance market. In the coming time, the Government of Vietnam will continue to focus on institutional reforms, strengthen macroeconomic stability, control inflation, and ensure major economic balances. 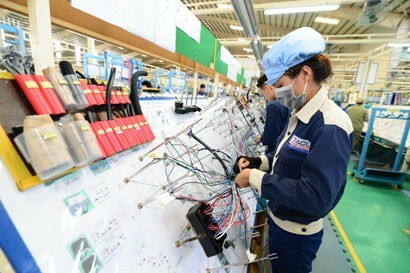 We will press on economic restructuring, especially restructuring public investment, restructuring State-owned enterprises, improving the business environment, promoting rapid and sustainable economic growth. We hope to receive suggestions, support and cooperation from South Korea. Korea is among countries with the most banks in Vietnam, with two banks, eight bank branches, six representative offices and two financial leasing companies. Financial and banking cooperation is not only defined within the scope of investment cooperation, but also extended to expert exchange, support and official capacity building. Vietnam has good conditions and potential for Fintech development thanks to its comparative advantages of population size, high smartphone and internet adoption rate, thus bringing a valuable opportunity for authorities and businesses to contact, meet and explore huge Fintech potential in their dynamic financial and banking markets. Vietnam really wants Korean investors to seize the opportunity to actively participate in Vietnam's equitization programs and banking sector restructuring programs, and provide financial services for Fintech applications in Vietnam. The Fintech technology application for “inclusive finance” in Vietnam is highly potential because Vietnam has a young population structure, good internet infrastructure and a growing middle class. Via the 8th International Financial Conference, Vietnam and Korea will promote the achieved results, find the foundation of future development, propose a new vision of peace, prosperity and development. Vietnam and Korea have an ideal, trustworthy bilateral cooperation relationship and share cultural and historical similarities. The successful hosting of the 2nd United States - DPRK Summit showed that Vietnam has an important role to promote South Korea and North Korea cooperation. Besides, the U.S. - China trade war is a major concern of the world for the time being and investment flows are being shifted or redirected to Vietnam. 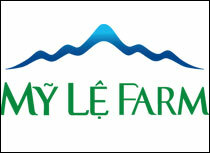 Vietnam needs flexible, active economic and financial policies to embrace these opportunities. 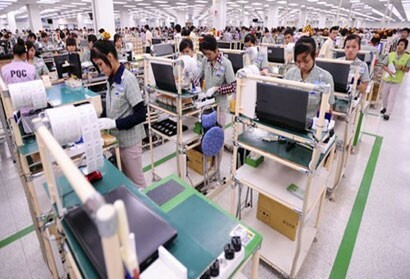 The country is expected to generate policies to support and facilitate foreign financial institutions to invest more in Vietnam in the coming time. In addition, it needs to focus more on such fields as mergers and acquisitions (M&A), Fintech, infrastructure investment and industry so as to better improve people's livelihoods and boost economic development. 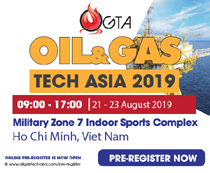 Particularly, Vietnam is known to have enormous potential and advantages in Fintech development while South Korean businesses are very suitable partners for Vietnam to develop this field and pursue Industrial Revolution 4.0 in general.